A lot has been said about India's “demographic dividend” which is in danger of turning into a “demographic bulge” - hundreds of millions of young people who will flood its job markets in the next decade, sliding into a lopsided paunch that will weigh the nation down and crimp its gross domestic product. One of the many hurdles in turning this into a demographic advantage is the availability of experienced and qualified trainers to make the “young population” into a “skilled and energetic young workforce” which will “Empower India” and “Power the World”. Providing for skilled Trainers has always been a bottle-neck for the vocational skills system. Faculty shortages and the inability to attract and retain well qualified instructors has been a challenge to quality skilling. At DDU-GKY we recognize this need. We have started the Training of Trainers (ToT) at training partner centers, as an initiative to bring about quality improvement in program deliverables. To create a facilitating mechanism, currently absent in the vocational skilling eco-system, for training and certification of trainers in “facilitation/training skills”. A typical Trainers to Training program is a 3 day program with about 25 participants from different training partners in each session. Each program lists out the aim, curriculum and the target outcomes. 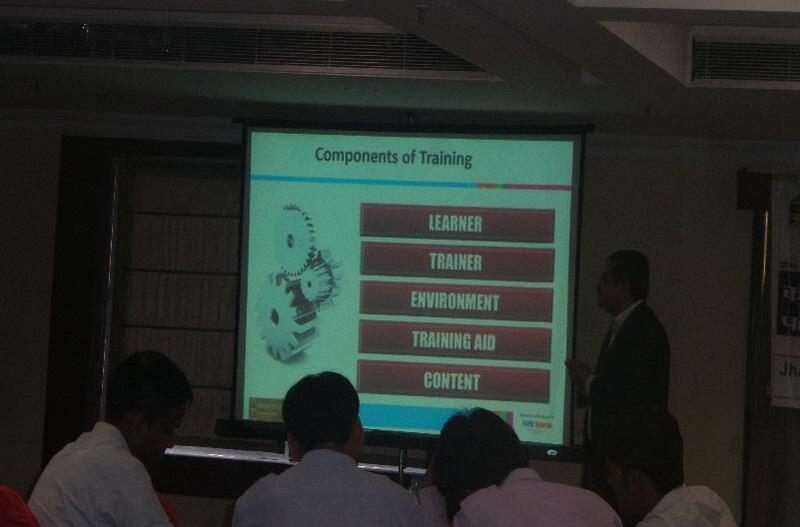 The training sessions are conducted by 2 experts. The trainers use innovative techniques of training methods to ensure active participation and understanding different techniques, like, presentations, speeches, group activities, case studies, experience sharing and pre and post training videos of participants for feedback amongst others with training curriculum geared towards motivating the trainers. Participants were also told the significance of DDU-GKY and how participation enriches the lives of rural youth. The Training our Trainers program is a great step towards personal and professional growth of our trainers. A very important step in the ToT program is participant evaluation. Using this method allows the trainers and trainees to see a visible difference in their training manner and use of techniques. The trainer allows all participants to deliver a short training on any topic before the session on day 1 and then as a post exercise on day 3 to ensure that the training has been effective. Post the session, a feedback form is also filled by all participants to take note on what worked and what didn’t. This helps us improvise our trainings. 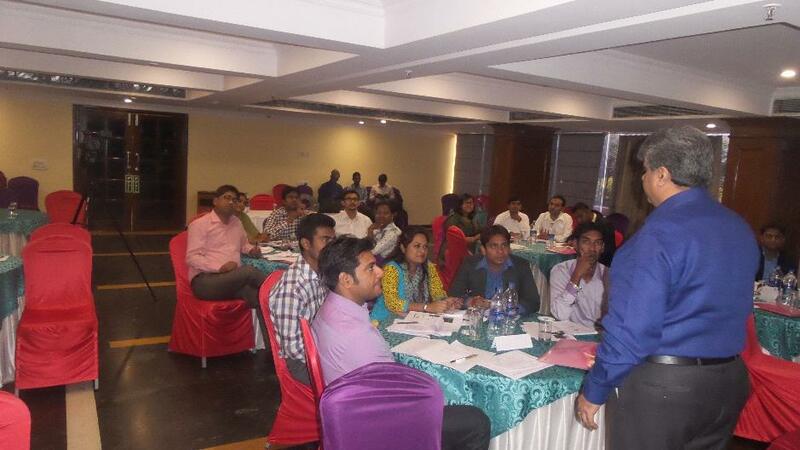 DDU-GKY ToT workshops have been organised in 5 states – Assam, Chhattisgarh, Jharkhand, Odisha and Rajasthan. The pilots have been very well received by all stakeholders – trainers, Project implementation agencies and State Rural Livelihood Missions with a request for more such programs adding to their success. Positive feedback from the programs resulted in a formal launch of modular programs or workshops spread over 6-12 months to be undertaken by aspiring and current trainers at the training centres. Designed to be three or four, short, 3-5 days modules interspersed with 6-12 weeks of work experience to practice acquired skills. After attending all programs and preparing through continuous practice, the trainers will be assessed and the qualifying trainers will be granted a nationally recognised certification based on the QP/NOS developed jointly by ILO and NSDC. The ToT program is on the way to become an integral part of DDU-GKY. It meets the dual purpose of making our trainers better and a brighter future for our candidates through efficient trainings.